Dr G will hand over the party’s baton to Mr Rao. 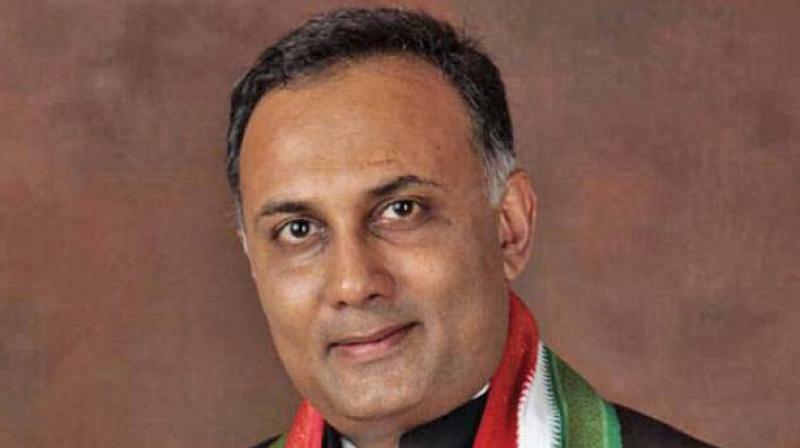 Bengaluru: Congress leader and MLA, Dinesh Gundurao, who has been appointed president of the Karnataka Pradesh Congress Committee (KPCC) will take charge on Wednesday at a function organised at the Palace Grounds here. Along with Mr Rao, a prominent Lingayat leader Eshwar B. Khandre who represents Bhalki in the assembly, will assume office as the working president of the KPCC. Besides MPs from Karnataka and state Congress leaders, a large number of party workers are expected to participate in the event. Deputy Chief Minister Dr G. Parameshwar, who has been serving as the president of KPCC, will hand over the party’s baton to Mr Rao, while Mr Rao will hand over charge to Mr Khandre.Mr Rao, a five-time MLA representing Gandhinagar constituency in Bengaluru, is the son of late chief minister R. Gundurao. He was a national spokesperson for the AICC and has been elevated from working president, a post he held since 2016. Rao pipped several contenders for the post, including former Union minister K.H. Muniyappa ,state ministers H.K. Patil and M.B. Patil besides D.K. Shivakumar, and B.K. Hariprasad. This programme is unique as Mr Rao who is perhaps the youngest PCC president, will be taking charge from the longest serving president, Dr Parameshwar on Wednesday. Dr Parameshwar has been at the helm of party affairs for eight long years, which in itself is a record. Meanwhile, addressing a joint press conference at the Tripuravasini centre at Palace Grounds, after monitoring the arrangements, party leaders V.S. Ugrappa, V.R. Sudarshan and H.M. Revanna said that they were happy to see Mr Rao and Mr Khandre taking charge. “This is a joyous moment for all of us as a young leader will be taking charge from the longest serving KPCC president,” the leaders explained. The leaders added that youngsters at the helm of the party will surely attract youngsters to the party and it will start getting new ideas to counter the BJP’s aggressive campaign across the country.